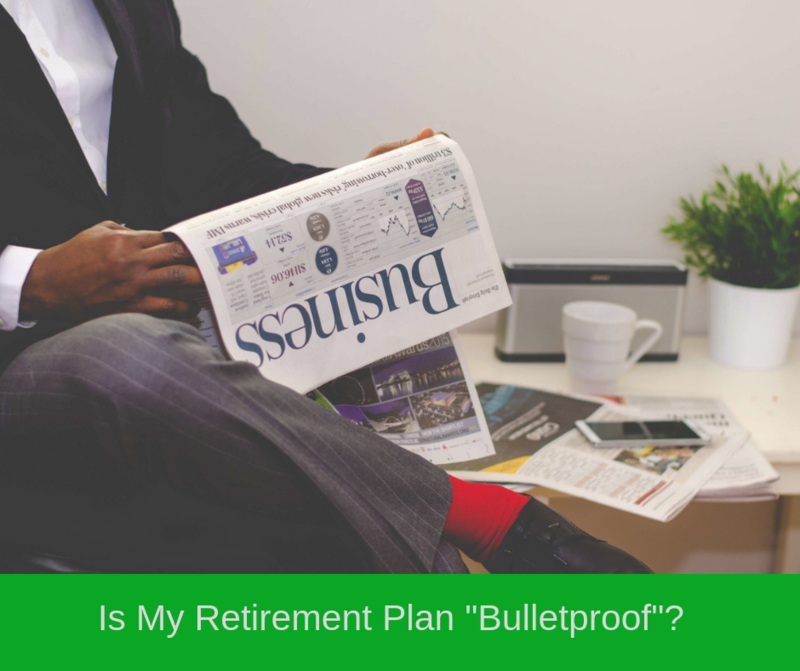 David, Karen, and Bret discuss what it means to be “Bulletproof” with your retirement plan. Karen also discusses the importance of caring for retired women, and David goes over the current pension crisis occurring in the United States. We’ve reached a point, David, where we’re midway into January, 28 days in the month of February, 31 days in March, and then Tax Day, April 15th, is a Monday this year. That gives everyone two weeks in April to get acclimated and get rushed to do that. I bring that up because the workshops you have scheduled are on tax efficiency in retirement. It was the workshop for this past week, and it’s where you’re putting a lot of your focus and a lot of your energy. That’s where the conversation starts. For those of you who are new, it’s all about educating the audience. We’re very much focusing on tax efficiency in retirement. We’ve done a number of workshops over the years related to Social Security planning and how to maximize Social Security benefits. We’ve talked about Medicare. We’ve talked about other things. But, I would tell you the thing that we get the most response to and the most feedback on is taxes, right? I mean it’s something that’s always a moving target. Obviously, nobody likes taxes. Nobody likes to pay more than their fair share for taxes. 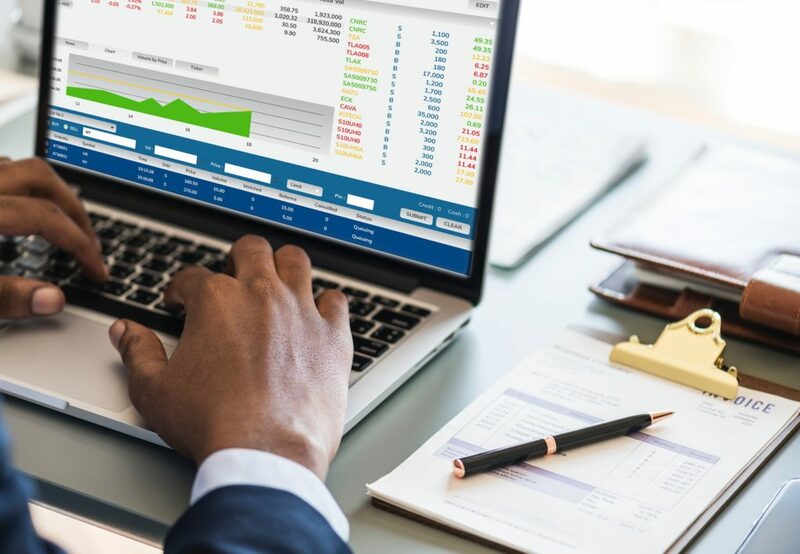 But, there’s still a lot of guesswork when it comes to taxes, and especially with all the new tax laws changes, and our firm is committed to stay the course this year on tax efficiency and retirement. We had some amazing workshops in the first couple of weeks in January. We’ve probably now had more than 200 people. One workshop alone we had 100 people show up. What was it? Standing room only. It was a Thursday, on January 10th. So, we’re going to keep the pace this year. Yeah, and I absolutely put an unconditional guarantee on the “Aha moment” reference because you will get it. I’ve had it many times sitting in my chair, listening, learning, absorbing and trying to understand and comprehend some of the very tough challenges that are out there, and they change every day. Because as the scenarios change, or as the unexpected occurs, it bounces us in a different direction. That’s right. And it happens often, as a matter of fact, I even have aha moments, when we do these workshops. People actually laugh at Bret’s jokes more than they laugh at my jokes. That’s a big aha moment for me. Bret, what do you have on the agenda for us today? I just want to talk about life in general. I met a client last week that reminded me. Unfortunately, I got a call late this past week, about a client who’s been with us a couple years now. They were diagnosed with cancer. So, I just want to talk about just planning, because you never know when life is going to take a turn, so it’s important to be prepared for everything. Good stuff, we’ll have that conversation. Karen Bezar is here with us. Karen, what’s on your agenda today for our conversation when we get into your segment? I am going to talk a little bit how women tend to be caregivers more and how we kind of have to plan for we’re taking care of older parents. That happens a lot of the time unfortunately. Good, good topic. We’ll deal with that as well. We do welcome in all members of the Thrive Army, which continues to expand and grow. And with 100 people, a standing room only workshop back on the 10th as you reference, that’s more injection into the Thrive Army, and that’s been amazing and fascinating to watch as well. Look, from a business perspective, it’s exciting, but from a purpose perspective, it’s really exciting. Our purpose is to get this message out, to get this education out, to get people to understand that there is a central resource. And, we just love doing it and it’s very eye-opening. I mean the questions, typically when seminars happen, people just kind of run for the exits as soon as that last speaker is done. What we find is that we tend to spend an additional half-hour just sitting around and talking and answering questions and things of that sort. So, that engagement, that realization that this is something that we take great pride in. So, it’s very satisfying for us. We can have an impact, and that’s why we built the firm. You know, we want to have financial impact. We’ve been very fortunate to do really well in our careers and now it’s really a time to do it in such a way that there’s no pressure, it’s really comfortable. It’s easy. I tell people, “If you’re all performance driven, you just want to knock the cover off the ball each year, that’s not us.” We’re about working with people, which there are tons, and tons, and tons of them out there who know that they have enough money to retire exactly the way they want. And, I would tell you, from a personal perspective that I think the year of 2019, the big win is just not to lose. And we really help people understand that. I think there’s a lot of economic conditions going on out there that could jeopardize people’s retirements if they don’t really get it under control. And I think one thing, Bret I’ll ask you to quickly either agree or disagree on this statement, the one thing that you can do or that you should do is don’t do nothing. Don’t sit and do nothing, be proactive with your plan. We always say, “People never plan to fail, but rather fail at a plan.” So, do not do nothing, just be proactive and things are never as bad as it seems, and sometimes things are never as good as it seems. So again, it’s all part of the Thrive Retirement Roadmap Review. Certainly, one other thing that comes when you reach January is the weather. The temperature starts to drop around the Delaware valley, snow starts to come in and we encourage everyone to be safe. If you go to ThriveFinancialServices.com, the big bold letters on the opening page of the website, “We Empower You to Navigate Today’s Complex Financial World”, and I would emphatically say that’s a very, very true statement, Bret. I mean we love people that come out to our workshops, listen to radio, read the book, whatever means that they get introduced to us that are generally looking for that education. Again, knowledge is power at the end of the day. There’s so many people that become our client or they do not. They all leave in saying, “you know what?” And it’s a question that I ask before we sit down with people. Our number one hope in leaving this employment here today is that we fulfill our promise of bring tremendous value to this overall experience, and I can’t tell you once that somebody left our office denying that statement right there. But, I actually sat with a client this past week who I will label as bulletproof. Things are good, market goes up, things are great. Market goes down, life really doesn’t change too much. They came to a taxes and retirement workshop and we’re excited about this week coming up because we got a brand-new location that we’re going to up by the East Coventry Township Building. Up near the Oaks Outlets is where we’re going to be. So a whole new area for us, so again, just spreading out our geography, just spreading the word from that education and advocacy. So excited to go up that way this week for the first time. Yeah, and I’ll give our audience more details as we roll along here. So, we had met a couple that was bulletproof and we had talked about lots of different things and typically when people come out and see our workshops it’s not necessarily the first workshop that they have ever seen, but they do appreciate that they’re not coming for a steak dinner, and we call it “Bait and switch“, where somebody says market’s about a topic, but never talks about it. Where again, sometimes people tell us “It’s a breath of fresh air, where actually what you put on your pamphlet was actually the stuff that you actually spoke about“, imagine when that happens. As people coming in for that Thrive Retirement Roadmap Review, and again, when we go through the first appoint of gathering all the inventory, and then when we come back and sit down with somebody, they’re sometimes, again, no matter what, people are going to be okay. But, that doesn’t mean there’s nothing to do. Because some of the biggest things, especially when people have more and more assets, typically means they’re paying more and more taxes. Again, when our workshop that is being filled with now hundreds of people, it’s crazy that we’re even saying 100 people at a workshop, because it’s almost like maybe next years we’ll be talking about 200 and we’re going to different buildings, it’s like today’s highs are tomorrow’s lows, if you are. But, again we see so many different stories that are out there, and a lot of times we’re sharing with people ways to be tax efficient. Whether it’s at 70 and a half and these required minimum distributions are ticking tax trap that’s getting ready to happen. All the dominoes that we’ve spoken about over the years, I can say years now, we’ve now been on the show for about a year and a half now Krause, it’s years, we’re saying plural. Yeah, and listen, in all seriousness we mentioned the Thrive Army in the beginning, where the Thrive Army started and where the Thrive Army is now, it’s just been fascinating and incredible. In a really, really good way. That’s paying it forward. I was just at a client’s house yesterday picking up a check and they have some new clients and we’ve got a workshop coming up here at the tail end of January. They had said to their friends, “You have to go see these guys up in Horsham”, so it’s exciting that the message is making its way out there. Some of the things that we share with people, is if you have line items 8A or on 9A on your tax return too large of items, you may not be doing things as efficient as you possibly could be. Some of the things that somethings we educate people with when it is appropriate is understand is that there’s two parts of the IRS code how we can get some of the those line items off the tax return. One of them being life insurance, and the other one being annuities. As part of the IRS code, both of those items, when we’re talking about savings, I’m not talking about IRA money or any of that here, but instead of having my money in a CD, or instead of it sitting in a Wells Fargo savings account if you will. When I start seeing significant numbers on a tax return, again, lines like 8A, 8B, 9A, 9B, if you will, is what are the other ways out there that we can be creative to get some of those number off the tax return to inevitably lead for us to be a little bit more tax efficient. Sometimes when you get to the topic of when we talk about life insurance, Krause, and when we talk about life insurance, what it becomes for a lot of these people is a way to enhance their legacy. You may have some estate taxes if you’re at the real high end of the spectrum, but at least offsetting some of the inheritance taxes that may be coming. But understanding that life insurance can be utilized as an asset. Typically, when we hear the word life insurance, the number one question we get when we get people come in as part of that Thrive Retirement Roadmap Review, is they always want to know, “What’s the premium? What’s the premium? What’s the premium?” Because what’s associated with the premium, with what they’re going to pay is the cost that’s associated with life insurance. However, here’s a client situation that at the age of 70 and a half, which they’re getting ready to turn this next year Krause, they’re going to have them at $15,000 a month of disposable income that’s coming in at above and beyond. Again, I don’t care if it’s $15,000, or whether it’s $4,000 or whether it’s $,3000. If they have some disposable income that they have just simply going into a savings account every year. A lot of times what it becomes too, especially when their dividends are coming from a stock portfolio, I’m buying more stock. Or when I get those dividends, it goes into my cash bucket, I’m just going to go buy more stock. So, when you go to look at their portfolio of $6, $7, $8 million, $4 million, it’s dominated by stock. Even though it’s diversified, it’s not all Apple stock, it might be Apple, Google, Amazon if you will, while it’s diversified, it’s not necessarily diversified outside of stocks. Again, if we have that excess cash coming in on an annual basis, it’s important that we diversify. The one thing when we do pass, as part of the IRS code, is whoever our beneficiaries are as part of life insurance, they get that money tax free. That sounds like, “Oh, okay, that’s great.” No, no, no, it’s tax free, and that’s such a big deal. When we sit down in front of so many people, and we’re now probably pushing 20 and 30 new people on it on a weekly basis now. And, I would tell you on average, probably 80% to 85% of people’s assets are sitting in 401K IRA plans. And if I were to inherit any money, I’d be thankful, but number two, if I had a choice to inherit money that was taxable, versus money that was tax-free, I could tell you all day long, I’m going to take money that I can inherit tax-free. Well guess what, when we’re out there sitting in retirement and life looks good, and we’re “bulletproof” and you actually have that choice, do I want to leave my kids, my grandkids, a charity, whoever that case may be, do you want to leave them something that’s taxable? Or do you want to leave them something that’s tax-free? We could look at life insurance, also as a vehicle for long-term care today. That’s a big deal as well. But, where it becomes important is, number one: when you’re able to qualify for it. Again, asking questions doesn’t make sense for me, and again, it doesn’t make sense for everybody. So again, that’s why everyone’s situation is unique and it’s why we always say, “We want your plan to be your plan.” But, it’s going through that exercise. And an important vehicle that we share, when we share different life insurance illustrations with people is saying, “Okay, you put in this amount every year to get this death benefit.” If you took that same amount and invested it into the stock market, what does that guaranteed rate of return that you’re going to have to get? The keyword I just said there, Krause, guaranteed rate of return. Now, this stock market does nothing but go up, and I’m being funny, because I’m sure in my partner’s commentary here on the back end of this show, we’re going to be talking about the volatility that’s going on here in the market, and sometimes you may be able to do some things just because of where we’re at. But, when you talk about life insurance, there is a guarantee in life. You’re going to die. So, we know there’s a death benefit, we just don’t know when at the end of the day. When we start understanding and we share with people that there’s something called an “internal rate of return“. When you say, “Hey, if I take this premium, to buy this death benefit, over here, here’s the internal rate of return.” Which means I can then go compare it to what I would have to get in the stock market to equal the same thing. But, then you need to put the aspect into it, they’re going to get that life insurance money that’s tax-free. Because the other important part of it is understanding it. One of our clients has been with us for four years now. Unfortunately, I got the news that they’re fighting cancer. Things are going well so far, but you don’t know. You don’t know how that can turn fast. Understanding that 70% of people before the age of 65 today experience a cancer, a heart attack, and a stroke, and they survive. They survive, and there’s so much life insurance now, that you could take advantage, you just don’t have to die to be able to take advantage of the benefits within a life insurance policy. We talk about living benefits within a life insurance policy. Not only will somebody get a death benefit, inevitably when they die, but again, today 70% of people experiencing cancer, heart attack, or stroke, and living. But, they’re financially devastated when that happens. When we start sharing different tools with people such as life insurance, like some other annuities that are out there, it’s just a great way to expand the diversification of the assets that are in your holdings, because we don’t know what life can bring tomorrow. Good stuff, and a good segment. You can go to ThriveFinancialServices.com, and you can learn more information about the workshop. You also can go to MeetThriveFinancial.com. There you’ll get a better understanding of Bret, you’ll get a better understanding of David and certainly learn a lot more about Karen Bezar as well. Get some understanding about who you are going to encounter when you get to the workshop. Karen Bezar now with us, and joining us. Good morning to you. Good Morning Joe, how are you? I’m well, nice to see you again, thank you so much for being here, you’re going to lead the audience, which way are you going to go today? Tilted a little bit, again, towards concerns for women in retirement, but it does affect the whole family and also affects men as well. I’m going to talk a little bit about how caregiving for sometimes older parents, or sometimes even care-giving for a child that you have to take care of can affect your retirement. One of the things that we ask when we meet with somebody for the first time is when you’re planning for retirement, are you going to stay in the home you’re currently in forever? Or are you planning on moving? The reason we ask that, is because if you have a home with many stairs, laundry room in the basement, going up and down the stairs, as you get into the 80s or 90s, sometimes it gets difficult. I know you kind of when through that with your mother-in-law. Who, by the way, didn’t want to leave her home in Glenside. But, that’s exactly how it was, the laundry was downstairs, she went up a big flight of stairs to get up to her bedroom, so she ultimately ended up leaving, but that was a conversation that went over a long period of time. Right, statistically speaking, that people prefer to be taken care of in their home. I understand that. To be put into a facility where strangers are taking care of you if it ever comes down to that. But, we do ask that question when we sit down with people because that can cost a lot of money. But, if you plan for it with enough time, then it’s something that you can plan for. I want to be able to do that for my mother, she wasn’t able to prepare for that, but if that comes down to it, we want to be able to help her and take care of her. My grandmother lived to be almost 100 years old, she lived in her home with her two daughters, and they were able to afford care to come into the house and help out. But, she was always around people that loved her, which is pretty important to people. I believe nowadays it’s important to us, my husband and I, that would be David, the other gentleman in this show. I was supposed to put him in mute, but I didn’t. But, what happens if you are a caregiver, it can affect your retirement. There’s already a significant demand for paid caregivers, and 1.3 million new caregivers are going to be needed to meet the demand by 2024 because the baby boomers are starting to get older. The problem is, if you’re staying at home doing the care-giving, then your retirement is going to be affected. Or your overall finances. Unpaid caregivers, the majority of family caregivers are women. And half of those women are unemployed, nearly 4 in 10 baby boomers between 1946 and 1964, they’re the ones right now who are unpaid caregivers, taking care of people at home. This is interesting, roughly 1 in 3 women caregivers report household income under $35,000, 7 in 10 gave little or no thought to their own financial situation when becoming a caregiver, so that leaves them, if they don’t think about themselves, no they’re definitely not thinking about themselves in retirement. Interestingly enough, male caregivers who have to take care of somebody or parents, have immediate saving of $130,000, while women have a savings of $19,000 for retirement. So, 1 in every 5 woman caregiver has no retirement savings whatsoever. It’s twice as high as men. So, why I’m saying that is twofold, to give you some steps maybe to plan prior to that, and number two to remember if you’re a woman who never worked in the workforce, or you had to leave work early to take care of somebody who needed it, don’t forget, you can retire with your spouses. Half of your spouse social security benefit, that would be a technical term here, their full retirement age, whatever benefit they would get at their full retirement age, you are able to get 50% of that if you start at your normal retirement age, just a little side note on that. I think one of the important areas that you must know about, or you must at least understand, we’ve said so many times on this program, is do not rely on those that work at the social security office to be able to provide accurate information that is specific and correct for you. Right, and just as a side note, I did have a woman come in, I met with the woman about a week ago or so. She came in and her husband did die. She’s living now, still working, trying to save money, she put herself through college to get a better job, she went to a social security office and they said, “Oh, you can’t collect now.” And the woman who came in was 61, she was 61 years old when she went to the social security office. So, I don’t know what happened there, that’s actually incorrect information. Based on a Widower’s Benefit, you can start collecting at age 60. And I could see how the perception of somebody at the social security office making that statement, how it’s giving immediate credibility. And there’s one example, where it is incorrect. Right. And her husband, when he died, he was already collecting social security, he had cancer and passed away. So, we’re going to revisit that. I’m meeting with her again. We’ve kind of introduced very frequently at our workshops this terminology of becoming your own wealth advocate. If you have a health crisis you obviously want to become your own health advocate. Meaning, don’t always take that first opinion as gospel. Don’t always read something one time and think that’s gospel. You have to be your own best person to do the research and make evaluation and reach out. There are four steps to keep in mind if you’re going to be a caregiver. Number one, think about your own future. If you’re considering leaving your full-time job or switching to a part-time job, I’ll go into that in more detail if I have time. Access other resources so that you’re not solely responsible for providing care. Here’s a website, ElderCare.acl.gov, there’s local organizations that can help you. Make a plan for managing your money and saving. Give us a call, we can help you out with that, and plan for your retirement. That’s the area we help people with. People come in, they’ve seen their parents go through this. Number one, they want to help them, and number two, they don’t want to go through the same thing that their parents went through, and that’s very important for financial planning. So, take a look at our website MeetThriveFinancial or ThriveFinancialServices.com set an appointment with us, or just give us a call at 800-516-5861. It is a good example too, or a good time to mention, Karen, that it’s okay to not know, it’s not okay to not do something about it. So, at this point if you’re reading, and this sounds foreign, or if this sounds like, “Hey, that’s me.” That’s okay, because now, you can be proactive, now you can have a conversation and still start to understand how to figure it out. Right, because the last thing that you want to do, like Bret said is put your head in the sand and just not pay attention to it and don’t plan for it to happen. It’s going to happen. Let’s turn to David Bezar for our final segment. David, I have been waiting to reference your involvement and your recognition with SOFA, the Society for Financial Awareness because I think it’s really, really important for the audience to understand that being a member of SOFA is. One, it’s an incredible honor, and two, it’s being recognized for providing financial education across America, one community at a time. There’s no charge for the workshop, there’s no charge for people to come in for a complementary review. All of those elements fall under that mission of educating the consumer. You don’t sign up and buy SOFA, you’re selected to be a member of SOFA, and I think it’s important to let the audience know. You always have to be careful what type of organizations you affiliate with, but we felt very strongly about SOFA because of its mission, and who is at the lead of it, and Jim Chilton has been on our radio show before. It’s part of our fabric, doing this. Karen and I specifically for 30 years now, it’s always been consumer first. A lot of times in our financial industry it’s hard for the consumer to believe that, and probably the reason. 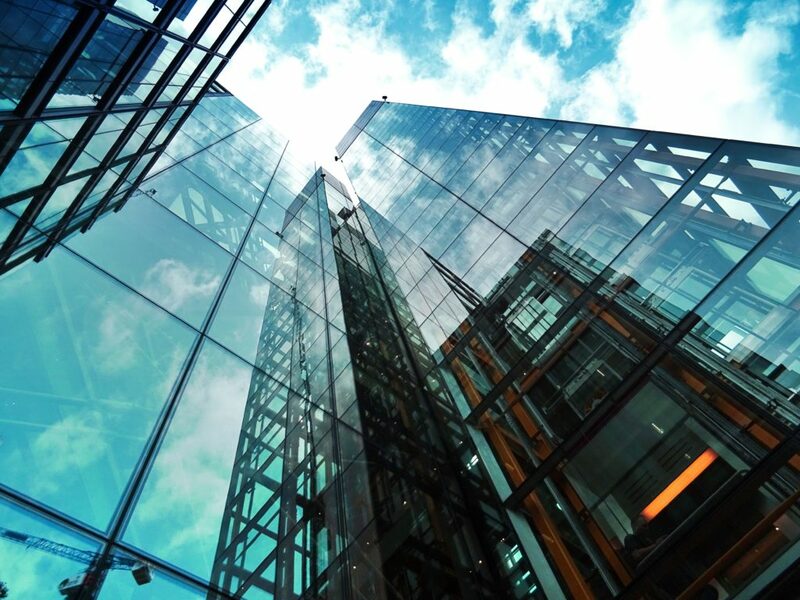 You know, a lot of times financial people in our industry are more focused on their bottom line than they are the bottom line of their clients. We’ve just always been very, very fortunate that we never had to be in that position. We never had to try to convince people to do business, so we could pay our bills. We’ve always lived by what we’ve preached. You know, live below your means if you make money, and spend less than you make and save and invest for your future and all that good stuff. We’ve been advocates for ourselves, wealth advocates for ourselves. So, when we found SOFA it was just a perfect sync for us, that we would be able to go out through a national 501C3 not for profit organization. And because of their mandate and their ethics code, we can’t sell, it’s hard for people to understand that. When we do these workshops and have the thousands of people who show up to these workshops, initially there’s a high degree of skepticism at the beginning of the workshop and as we go through it, you kind of see we keep using this term, aha moments, but people start to realize that we didn’t mention anything about a product, or strategy, or hiring us as their financial advisers. We educated them during that period and offered a complimentary consultation. That just doesn’t happen, and I wish legally we were allowed to give testimonial from people who sit in the chairs across from us when we do these complimentary consultation. But, compliance rules do not allow for that. That’s what I suggest, just what’s an hour and 15 minutes of your time to come out and sit down through a presentation, hear how all the puzzle pieces of retirement, specifically oriented to how taxes work. And if you want to come in and take another complimentary time with us, that’s an hour out of your time. Share with each other, we put together some work. We probably spend five or six hours putting some recommendations. Sometimes we’re saying, “Hey, two thumbs up, green light, everything is fantastic.” Sometimes, it’s minor stuff, maybe a little carburetor adjustment so to say. Sometimes we’re going to tell you the truth that things aren’t working with the way that you want to, or what you’re currently doing. And you need to make some modifications. So, what you get by visiting us is certainty versus uncertainty. Second set of eyes, second opinion, all of that. Yeah, it’s really good stuff. I’ll end with this, but the number one goal for SOFA is to assist individuals to take charge of personal finances. Totally. And there’s two things Joe, two things that after doing so many workshops, I ask a lot of questions during our workshop. One just to get points across and get an answer. Two, to really kind of pull the people that are in retirement. If we’re doing eight to ten different locations between Montgomery, Bucks, and Chester County, and then we see a couple hundred people on a weekly basis, then we see 20 to 30 people on a weekly basis inside our office. We get to actually ask a lot of questions that give us insight to what actually is happening. Example being, I ask a question a lot of times in the workshop, how many people sitting in the audience believe that during their retirement, could be 10 years, 15, 20, possible 30 years in retirement, that the stock market will go through a similar financial crisis as to the one that we went through in 2007-2009. What percentage of the people sitting in that audience Joe, do you think raised their hand? Big percentage or small percentage? It’s almost unanimous every single time. 99% of the people raised their hand. My follow up question to that is, “Of those of you who have raised your hand, whether it’s you or people in the audience have raised their hand, what percentage do you think have actually done something to protect themselves against that?” And guess what? Very, very few. And it just kind of shows you that we as humans are creatures of habit. We kind of just go over, it’s hard to break pattern, and what we try to convey in these workshops is getting to retirement, takes one set of rules, navigating retirement takes a completely different set of rules. And that’s why sometimes it’s encouraged maybe to get that second opinion. Karen and I sat down with a client recently, they’ve been with their financial advisor for 30 years. And when it came time, we showed them everything, they were absolutely blown away. They didn’t realize that this information, these strategies, these solutions, or even existed. So, there is a lot of inactivity. People know that this information is there, they just don’t always want to take action, and that’s why we encourage people for that consultation so that we can kind of instigate that thought a little bit. With the headlines, that are going on out there today, Joe, it’s more important than ever before. I have three newspaper articles, or who reads the newspaper anymore, but you know what I’m saying. I still read the newspaper. I love the newspaper. But, that’s okay. Barron’s, CNBC, Bloomberg, three of the most popular financial media outlets out there. I’m just going to read the headlines, one says, “The New Retirement Strategy“, I’m going to get into that a little bit. The second says, “The Falling Market (Stock Market) Offers an Opportunity to Cut Your Taxes In Retirement“, not traditional thinking by any stretch. Most financial advisers telling people to stay their course, may be a wonderful time to consider doing a Roth conversion because we could do it at a lower cost basis and then all that future growth in that retirement fund as the market rebounds, is completely tax-free. People don’t even think that way right now. We’re going to talk a little bit about that. The last one which is really critical. We could do an entire show on that, by the way. And that’s probably what it’s going to be Joe, I think that’s what we’re going to do. The last article, “The Pension Problem That Just Got Much Worse“, so in our workshops, some of the other shows that you are involved with Joe, right, it’s a lot of union people and many, many people still have these defined benefit plans. They still have pensions out there. Most people think those pensions are a lock. They are solid, they are secure, they are guaranteed, I’ll just read you a couple things, when they did this article it’s at a simple extrapolation of the recent trend suggest that a crisis around 2023 as assets are wiped out even if returns in the market rebound related to pensions. So, maybe we’ll touch one this next week, these are things that I really want to help bring to light to the community that’s listening to us, the people who visit us. Because these three articles really talk about some major changes that retirees need to focus on and we’re going to bring those to light next week Joe. Karen, as we get ready to sign off, just a reminder to the audience that care giving was your topic of conversation today. That can be a challenging topic, it could be a top conversation. You’re certainly up for the task. You’re up to be able to handle that conversation based on the scenarios. That’s it, it’s all about having a plan. Again, we all think we’re bulletproof, that we’re invincible, at the end of the day life does happen, and again when life happens it throws us curve balls. Again, it’s trying to take as many risks off the table so that we can be as bulletproof as possible. That will wrap it up for the discussion today. Special thanks to the Thrive Army for their continued support, we appreciate everyone for reading. On behalf of Thrive Financial Services, as well as David, Karen, and Brett we appreciate it. 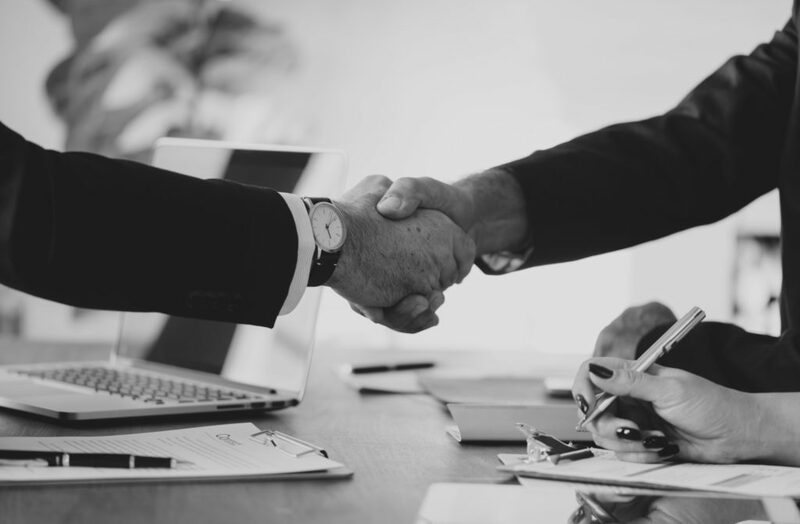 If you or a loved one is interested in learning about the services we can provide you, do not hesitate to schedule a free first consultation today.